Yahoo's chief operating officer has unexpectedly departed the company just over a year after he was hired to turn its advertising business around. Henrique de Castro, Yahoo's second most senior executive, is leaving this week. No reason was given. His departure deals a blow to the firm's efforts to revive flagging sales and internet traffic in the face of increased competition from rival sites. It may also be an expensive loss for chief executive Marissa Mayer. Mr Castro is one of Silicon Valley's most highly-paid executives and may receive a multi-million-dollar severance package. According to reports, there were tensions between Mr Castro and Ms Mayer, who had poached him from Google shortly after she took over at the company. Mr Castro's main role was to act as Yahoo's top sales executive and build relationships with key advertising clients. However, the company has failed to significantly increase advertising revenues for its website and mobile applications. Display-advertising revenue, which accounts for about 40% of the company's sales, fell 7% to $421m (£257m) from a year ago in the third quarter. Yahoo also lowered its profit outlook for fiscal 2013 during its last earnings release in October. 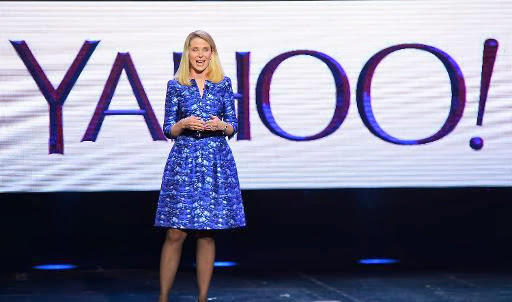 Yahoo shares fell 0.6% in extended US trading on Wednesday.